Thank you for the trust from our clients from Venezuela. On May 30th, 2015, our Venezuela friends bought 360,000 pieces NK-1001 reflective road studs from NOKIN TRAFFIC FACILITY. Dean Ward, branch manager of Venezuela company, stated, “The happening rate of weather related accidents has increased greatly over the last couple of years, and many people were injured in the accidents and lots of families were ruined because of the poor traffic facility condition.” So in order to reduce the happening of traffic accidents, they spent a lot of money and time in choosing a traffic facility company, which could meet their needs, to work with, and they finally held out the olive branch to NOKIN. 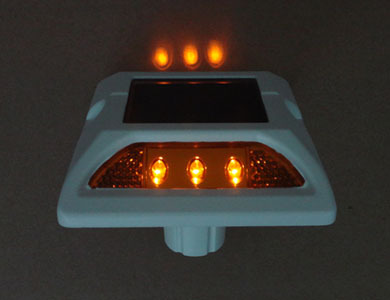 The reason why they chose NOKIN is because NOKIN TRAFFIC FACILITY is well suited for most road conditions and in particular accident black-spots where there may be limited light sources. The NK-1001 produced by NOKIN, is made of modified enhanced engineering plastics and chooses the technology of injection molding. NK-1001,this embedded-type reflective road stud can be used on highways, airfield roads, service roads and all trafficked areas requiring high performance delineation and marking to guide drivers. The product complies with the European Standard for reflective road studs EN1463 Parts 1&2 and it meets the requirements of the users in Venezuela. It is of good performance, and our company equips NK-1001 with micro prism total reflection reflector whose reflective brightness achieves diamond level reflection brightness. 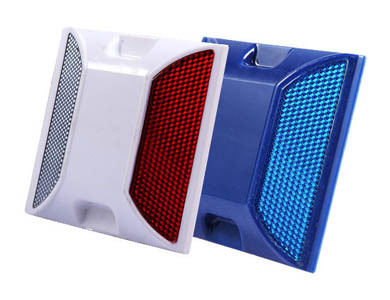 This kind of reflector using on the road can provide the pedestrian with safety, and give the cold night a bunch of warm light. NOKIN TRAFFIC FACILITY is a professional manufacture and supplier for solar road stud, reflective road stud and other solar road signs. All the products of NOKIN are welcomed by our clients. Although NOKIN ranks in the leading position in this field, it can never slow down the pace for innovation, and it hopes to provide the most advanced products to the world. The operation concept for NOKIN is “High Quality, Reasonable Price, Best Service, Right & Prompt Delivery”. Where there is NOKIN, there is light and safety.